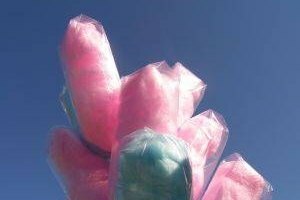 Cotton candy is one of the sweetest treats you'll find when you go to fairs and carnivals. It can be eaten at any time or any place. You can buy it in bags at grocery stores or at Walmart. There are times when you want that pink sugary candy but don't want to leave the house to get it. 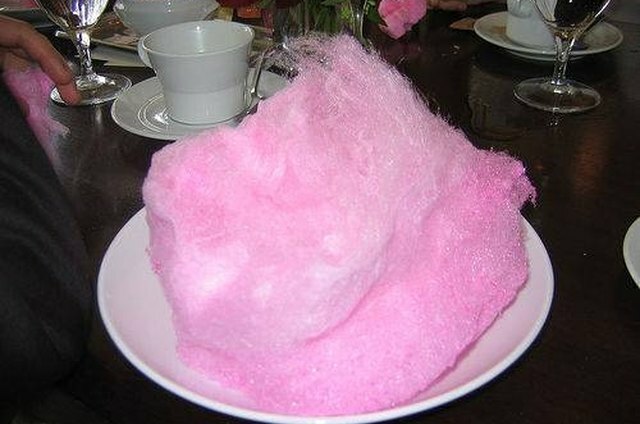 You can make cotton candy mix at home simply and quickly, and your entire family can enjoy it with you. Put on an apron before starting to make the cotton candy mix. Pour the light corn syrup and water into a large saucepan. Add the granulated sugar to the syrup water. Turn the burner on medium heat and stir the sweet mixture together. 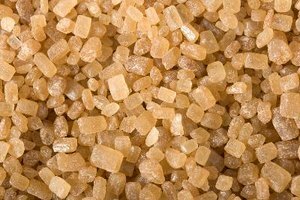 You can use a spoon or whisk to stir the sugar water. Wait for the sugar to dissolve, then turn the burner up to high. 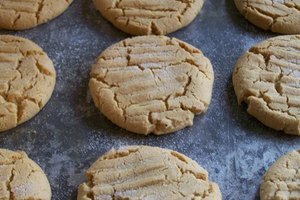 Keep it on high until the candy thermometer reaches 320 degrees F. Stir frequently so the sugar mixture doesn't stick to the bottom of the pan and burn. Don't let the temperature get above 320 degrees F, or the cotton candy mix will turn brownish in color. Take out of pan when it has reached 320 degrees F and pour into a glass bowl. Don't leave in pan, or the cotton candy mix will keep on heating and turn brown. It is important to use either oven mitts or pot holders to protect your hands from getting burned. Add the food coloring and flavoring to the cotton candy mix in the glass bowl and quickly stir before the cotton candy mix cools down. You can use any color you want. 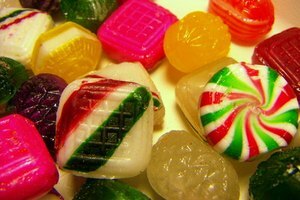 The flavoring can be vanilla, raspberry, banana or any flavor you want. 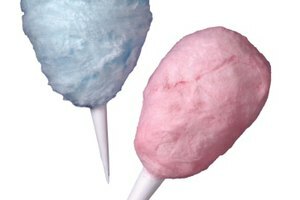 If you don't use extra flavoring, the cotton candy will taste like plain sugar. A cotton candy maker isn't necessary for you to make cotton candy at home, although it makes for a harder and messier job. If the cotton candy mix cools down enough to turn hard before you're finished eating it, just stick it in the microwave for 4 or 5 minutes, or until it becomes liquid again.